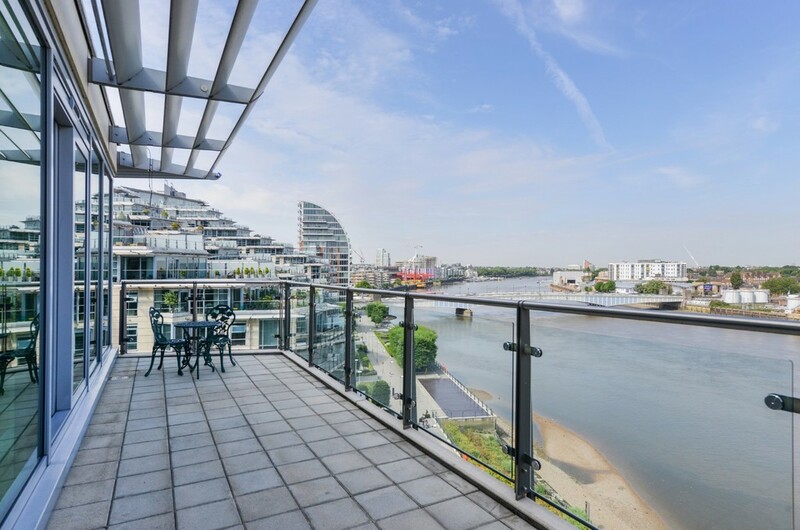 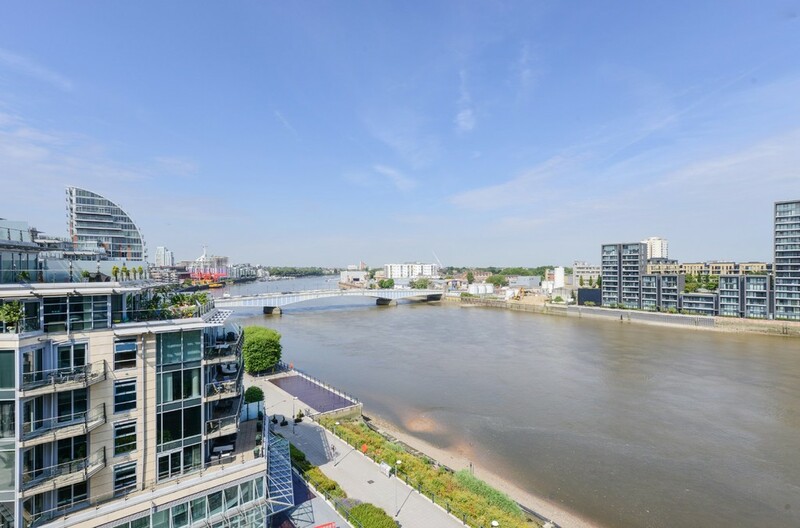 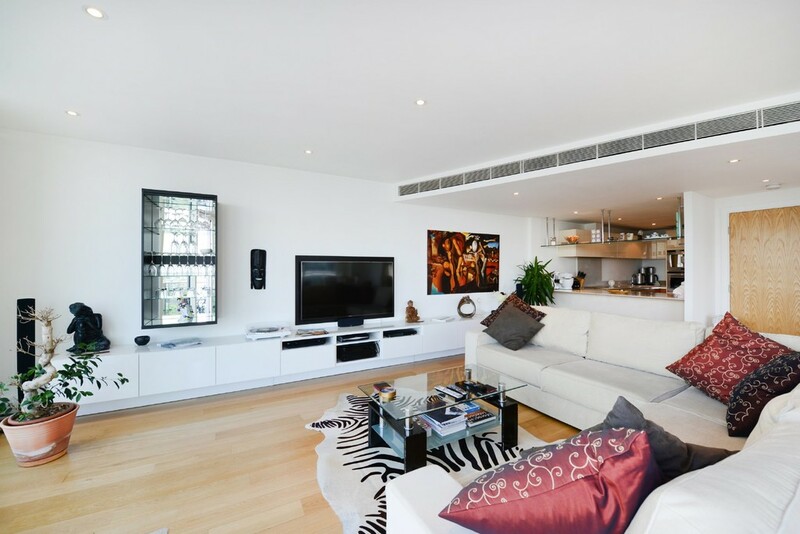 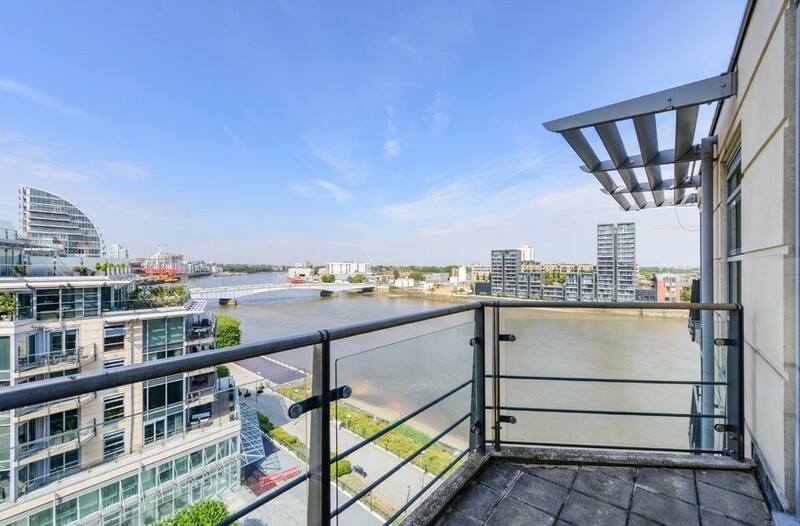 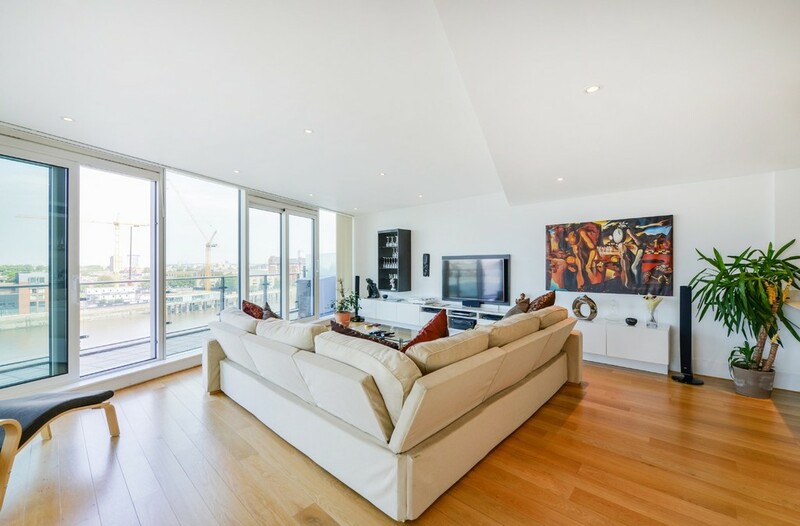 H&G Riverside Sales offer this superb three-bedroom apartment with wonderful river views in the award-winning Battersea Reach riverside development. 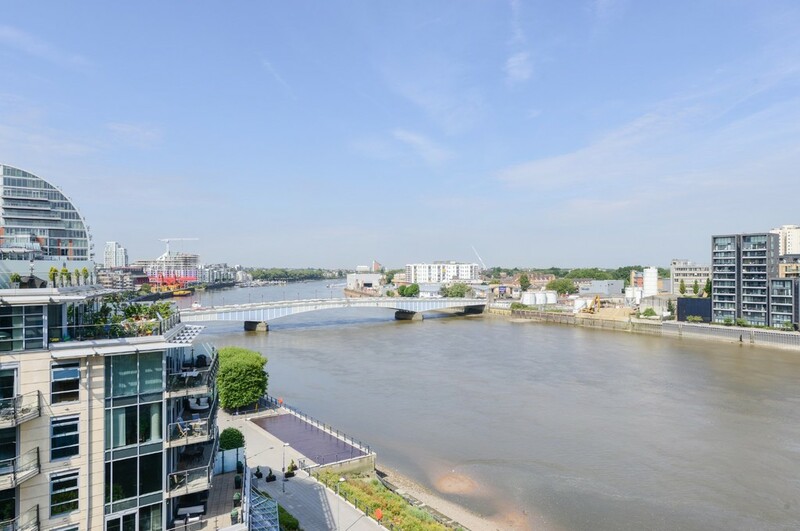 The seventh-floor river facing property boasts a large private terrace affording magnificent views up and down the river and across to Fulham/Chelsea. 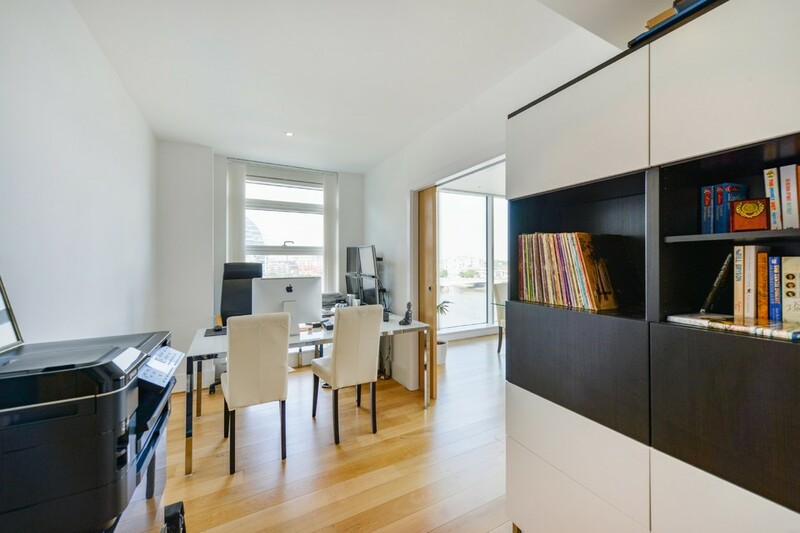 Offering over 1,200sq ft of modern accommodation comprising spacious reception room, three bedrooms, two bathrooms, kitchen, balcony and terrace. 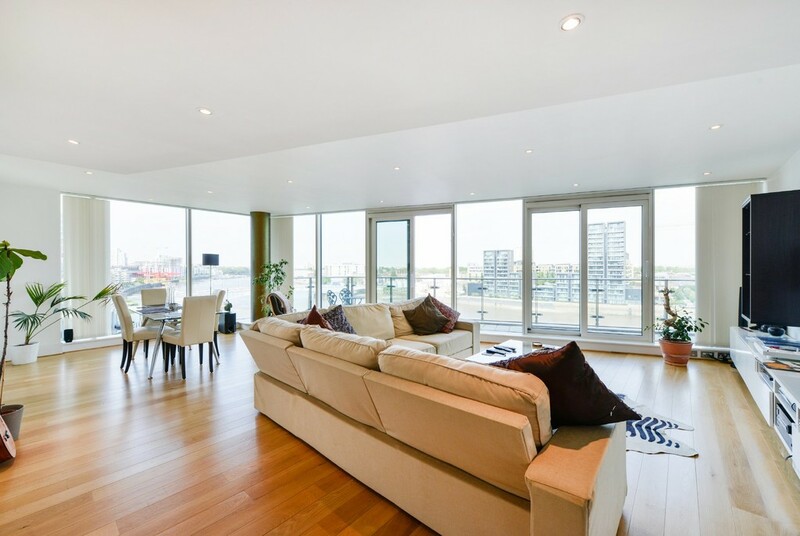 The reception room is a dual aspect room with two walls of floor-to-ceiling windows flooding the room with natural light. 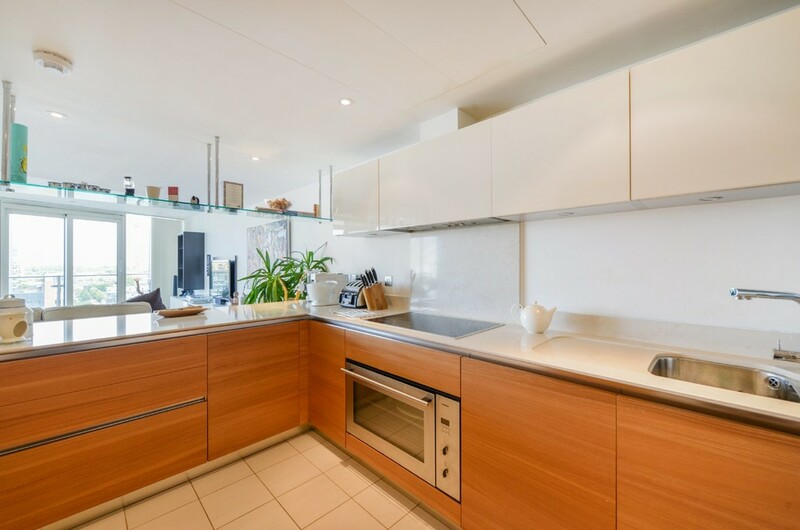 The fully fitted kitchen is semi-open to the reception room with breakfast bar and provides ample wall and base level units. 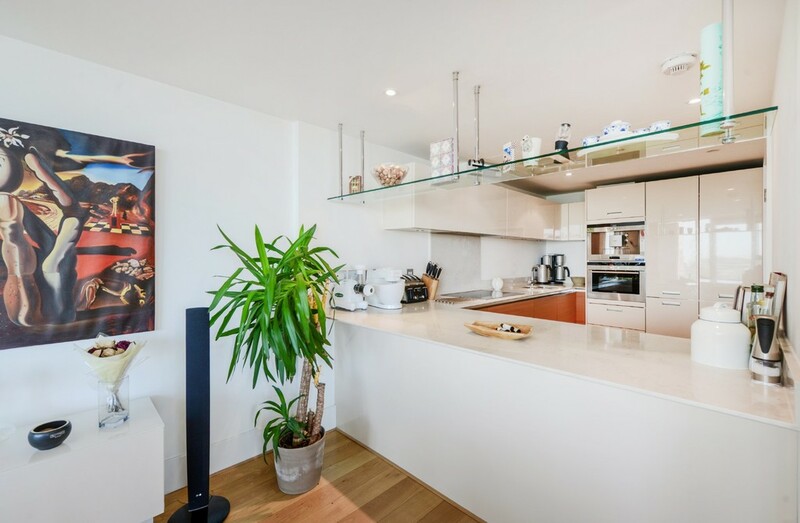 Fitted appliances include an American style fridge/freezer, microwave, coffee machine, oven and dishwasher. 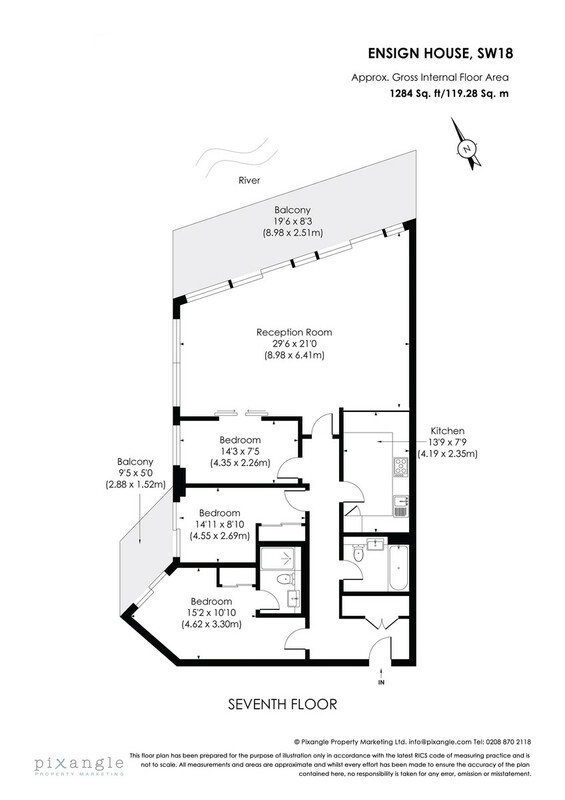 A separate utility cupboard is located in the hallway housing the washer/dryer. 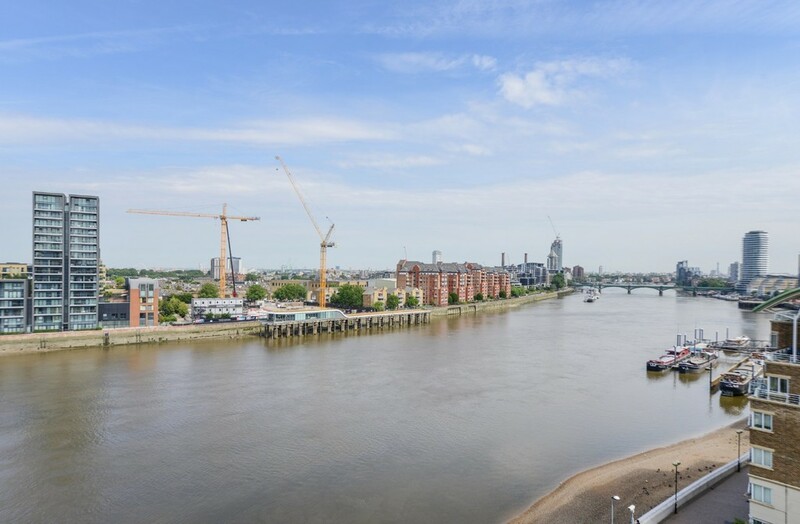 The generous master bedroom suite features a luxurious bathroom, built in wardrobes and a balcony with westerly views taking in Wandsworth Bridge and the leafy Hurlingham Club. 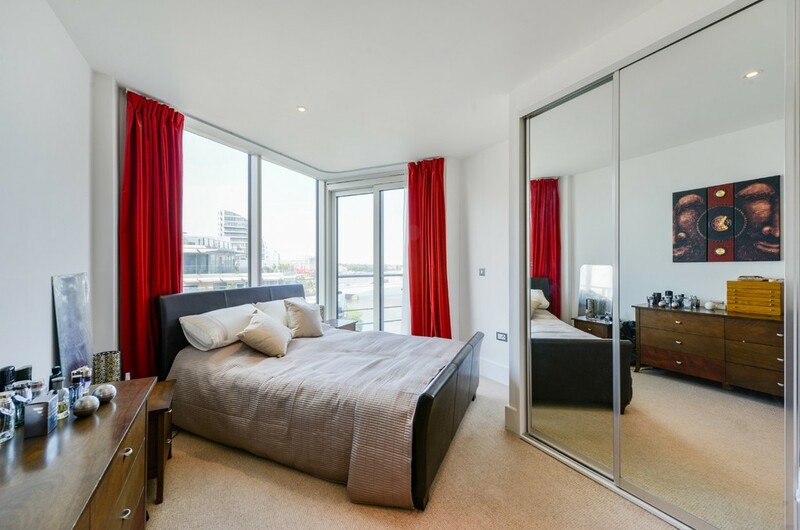 The guest bedroom offers built in wardrobes and access to the balcony. 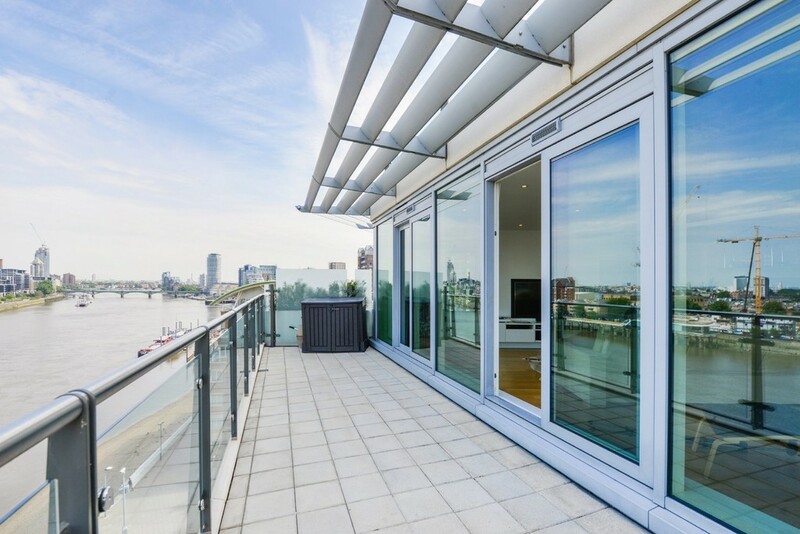 The third bedroom offers flexible accommodation with sliding doors opening to the reception room, floor-to-ceiling windows provide river views. 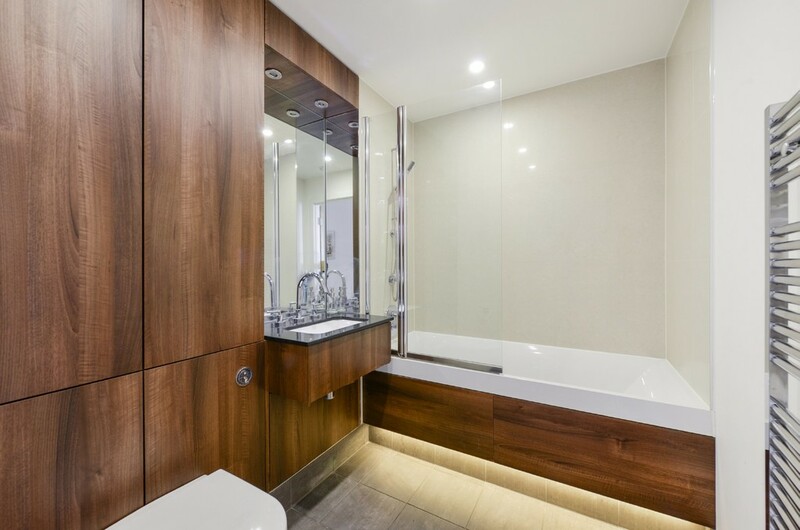 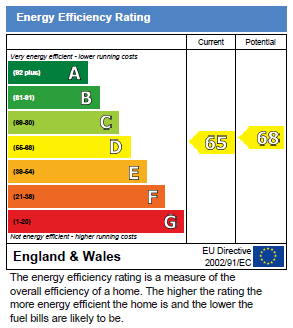 Further benefits include comfort cooling to the principal rooms and underfloor heating to the bathrooms. 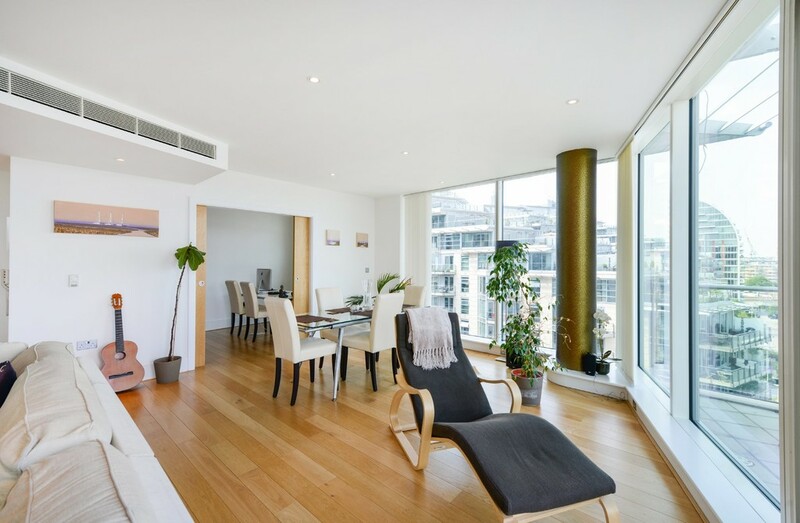 Parking for one car is included in the sale.